Waxing the floor can give it protection, make it shiny and non-slippery. Compared to certain finishes which are synthetic, wax is a natural product. Before waxing the floor, it’s always a clever idea to check if any treatment has been applied to the floor before. If the answer is yes, any trace of the old treatment should first be removed. That’s done by using an adequate stripping agent. To check for old treatments, the best thing to do is to touch the wood. If it doesn’t look shiny or glossy, and you can feel the original material, then it’s ready for waxing. Older floors need to be waxed regularly to maintain a nice finish. Buyers should always try to get best wax for their wood floors. 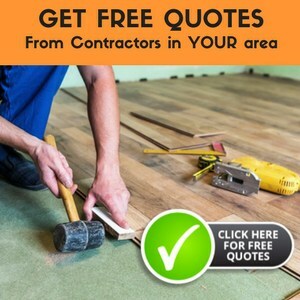 Wood floor care experts recommend waxing wooden floors every six month. One of the most important aspects of waxing a floor is choosing the right floor wax. There are two types of wax, liquid wax and paste wax. Liquid wax is easier to apply and spreads more evenly even though it needs a couple of coats. Paste wax only requires one application. Liquid wax isn’t suitable for use on most floors. It should only be used on untreated hardwood floors. Whether one uses a mop, a polisher or a terrycloth, using a liquid wax will save time. One 16 oz. bottle should be enough to wax around 600 sq. ft. The main use of the Feed-N-Wax is to preserve your wood floor, prevent it from drying and cracking. It contains conditioning oils which nourish the wood. At the same time, the beeswax and carnauba wax create a protective coating on the floor. Beeswax is produced by honey bees, while Carnauba comes from palm leaves growing in northeastern Brazil. 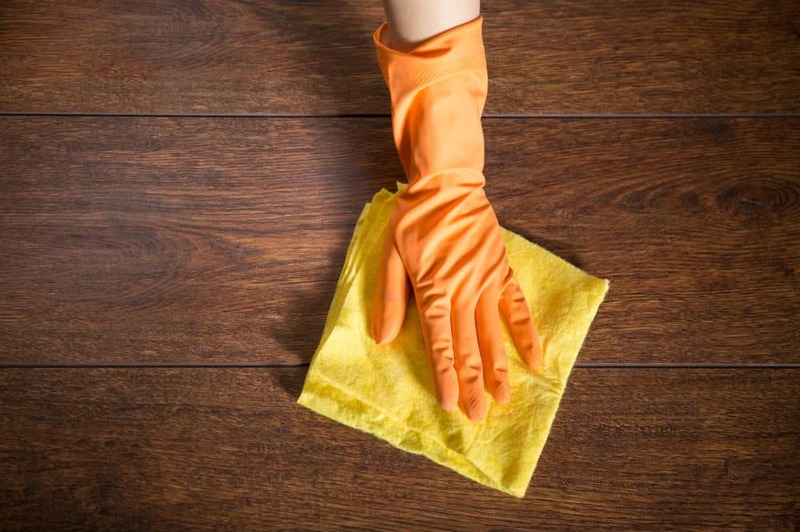 Some argue that the best wax for wood floors needs to be natural. The product contains Petroleum Distillate so it’s combustible. Make sure to keep it away from children. As this wax can release a strong odor during application, windows and doors should stay open during it. Wearing a mask is highly recommended. Also suitable for furniture, windows, doors etc. Paste wax has been on the market for a long time. It’s proven to deliver a durable and quality finish. However, it takes a couple of days to wax an average house, so one needs to be prepared for some arduous work. Once applied, paste wax gives the floor a lasting, revitalized look. Is this the best wax for wood floors though? Before applying the wax, it’s always a clever idea to thoroughly clean the floor, perhaps with a strong vacuum cleaner If the floor was treated before, remove any traces of the old treatment with a stripping agent. Waxing requires a cloth and a healthy back. Apply a bit of wax to a cloth to get started. It’s best to apply the wax in circular motions and follow the grain of the wood. For larger sized rooms, using a floor buffer machine is advisable. Once finished, the difference should be noticeable. As such it is a strong contender for best wax for wood floors. It’s best to avoid using paste wax for new floors, as most manufacturers treat their floor products with polyurethane before installing them in homes. Always check! Minwax is the leading American brand for wood polishing and wood care products. Is this product the best wax for wood floors though? This floor reviver successfully deals with stained, scratched and worn floors. After treating them, the floor becomes healthy and shiny again. One coat is enough for the desired effect. One 32-ounce bottle is enough to cover up to 225 sq. ft. For a bigger area, you will need a few bottles. This is a synthetic wax, polyurethane based. It sits above the surface of the wood and provides it with a protective coating. It’s mostly used in areas with a lot of daily traffic. So, Which IS the Best Wax for Wood Floors? Now that we are finished with the reviews, it’s time to decided on the best wax for wood floors. When it comes to waxing floors, one can identify two types of people. Those who want to do a thorough job by treating old wood and giving it a protective coating for the future. Then, there are people whoseem to want a shiny floor without having to invest too much time. 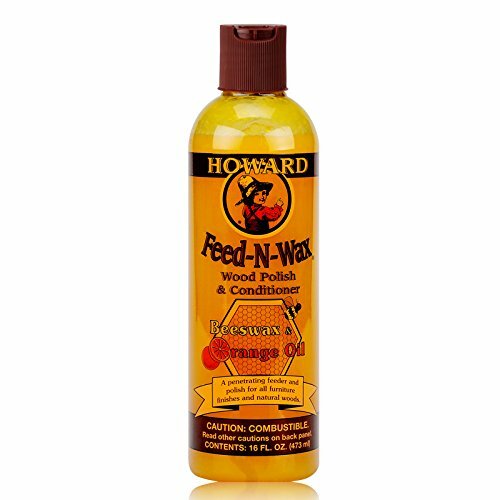 The Feed-N-Wax is a solid solution if you don’t mind going over the floor every month. The SC Johnson Paste Wax does an excellent job of preserving the wood and giving it a shine afterwards. Finally, the Minwax Reviver is THE option for high-traffic locations. 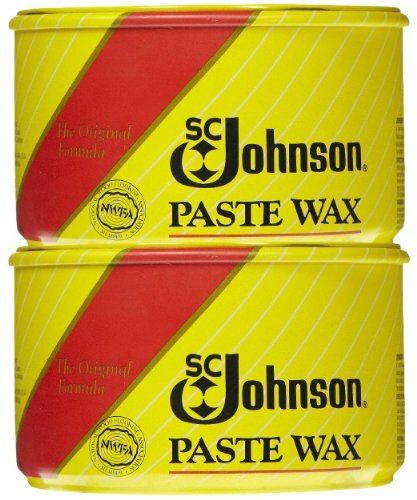 Anyone who purchases the SC Johnson Paste Wax will not go wrong! It restores, protects, and gives the wood a shine which makes it the best wax for wood floors.